My apologies to Andy Samberg. I few months back I wrote a quick post about my dislike of Andy Samberg’s SNL Digital Short, “Wish it Would Rain.” To convey my disdain of that particular video, I may have employed unfair hyperbole. In retrospect, calling Andy Samberg’s Wish it Would Rain, “One of the Worst Things Ever Aired on SNL” was most likely a slight exaggeration. In my defense, at the time my family was staying at our in-law’s house while our house was being repaired. It could have been the stress of being forced to watch Dancing with the Stars that led me to have such high expectations for that particular episode. Regardless, I must apologize to Andy Samberg because at the time I had no idea that my little rant of a post would become my most read blog on my site! How was I supposed to know that hundreds of Google searches would lead to my Samberg critique. From the shear number of searches, I realize that my opinion is most likely not the majority. Not only did many people love the “Wish it Would Rain” digital short, they were excited enough to try and find it on the internet. This is hard for me to understand, but I accept the reality that human taste is in fact that varied. So here is my mea culpa (which I think means apology). Andy Samberg, I’m sorry that I only said something negative about your work and career. To be honest, there are many times I find you funny. For instance, I had a good laugh at your “Tennis Balls” digital short. I laughed the first time I saw it as well as each time I showed it to my kids. Now back to writing posts very few people actually read. 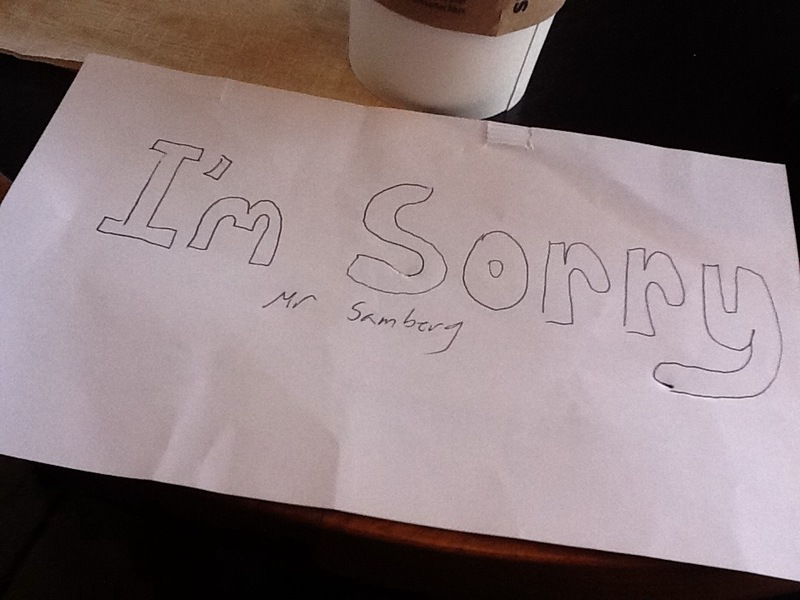 🙂 🙂 🙂 reading about apologies and not Andy Samberg. I like anyway.